​Many years ago I would frequently see Terry near Carnaby Street with friends. This was from about 1976 onwards. He always smiled at me and returned a smile back. But I was too shy to say Hi! I have several connections with Terence. First my late father Peter was in India with him. This was with the Orange People (Shree Rajneesh). My dad was there for one year and Terry too. They got on so well as they were from similar backgrounds. I worked in 76-78 for Record Mirror and Sounds as an office boy. I frequently visited The Who management in Carnaby Street where I often chatted with Chris Stamp RIP. Then in 1980 I worked on SUPERMAN 2. This was Terence return back into movies. I still could not bring myself to chat with him about the connections we had. Silly me! Later in 1986 I worked on the film LINK but still did not have the balls to say hi! Maybe I was still so in awe of him. So finally I had a part in Tiré à part 1995 in which Terence stared. The AD called me at home a few days before to make sure I was ready, I asked her who was in the film? 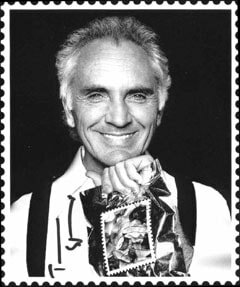 She then replied Terence Stamp! WOW! I thought now would be the right time to chat. By the way I had all of Terence's books including THE NIGHT( This was already signed which I found in a discount store in Islington). So feeling nervous and excited I took the books for him to sign hopefully! I turned up in South London to the location and filmed my bit. Terence was not there and the AD told me he would be there after lunch at 2pm. So I waited even tough i was released to go home. Well 2pm came and there was Terry looking so bloody handsome as ever and sitting quietly on his own. I approached him and said Hi Terence! He asked me to sit next to him which was such a honour. We chatted for 20 minutes or so. And he kindly signed all the books with personal messages. We talked about spiritual things, Buddhism and eastern philosophy. He gave me advice on Acting and also recommended a French enlightened man called Jean Klein (spiritual teacher) and to get his book. He also told me that we were meant to meet and used the word 'serendipitous'. The rest will be in my book. But I will say the last thing he said to me was " Derek, love the shirt"
The shirt was a Paul Smith, Blue and Green linen number which I till have to this day.